Now that Christmas is with us again! Yes, Christmas is with us again! Let’s remember Christ this Christmas! It’s that time of year again, my favorite time of the year which is highlighted with the joys of Christmas. For many of us it is seen in gifts under the tree, lights in the windows, cards in the mail, dinners with family and friends, and shouts of ‘Merry Christmas’ to those who pass is in the street. Christmas time once again, the perfect time to remind ourselves and others of the true meaning of Christmas. But, is it really Christmas this year, 2016? One thing I have taken notice of this year is how much more the world has distanced themselves from any symbols of Christmas joy. Shopping malls, local shops that used to have all those goofy painted messages on their storefronts are no where to be seen this year; instead being replaced with ‘Black Friday’ buying frenzies without the need for Christmas reminders and just what it all means. Is this really Christmas? For many people this year Christmas will be a time of sorrow. I know for Patty and I, we are mourning the loss of Patty’s father, Hugo just a couple of weeks ago. Another friend just last week loss his son. No doubt these are difficult junctions in our lives that affect all activities going on around us. Even though we may see many people driving 80,000 SUV’S and living fancy lifestyles, it’s a reminder that this is not ‘norm’, There are families that don’t have ‘extra monies’ to meet the demand of buying presents, leading some to spend money they don’t have. And so, what then can be said for the meaning of Christmas this year, 2016? How can I be expected to have joy in the midst of it all, when the world has said, No to the love and joy expressed in celebration of Christmas? Christmas can be a season of great joy when we pause and examine what God has done for us to overcome the drudgery of this hectic, loss, empty life on earth. God gave Jesus that we would have life! What a statement. And yet so profound, when it’s all said and done what is the true meaning of Christmas? That we would have the joy that we have been given a Savior in Jesus who gives us life and joy to begin living it now. Christmas is when we put all the trappings of Christmas-like joy and celebrate the greatest gift, the birth of Jesus Christ. 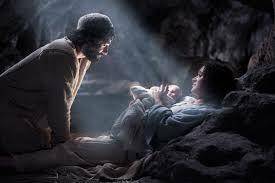 His birth brought great joy to the world. Shepherds, Wise men, and angels all shared in the excitement that night of knowing and experiencing the birth of the greatest event in history! You have to know that they knew this was no ‘ordinary’ baby, but one that Old Testament prophets had wrote about hundreds of years before His coming. 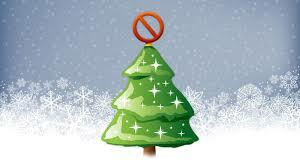 There is a debate among ‘believers’ about whether or not Christians should even be celebrating Christmas. Actually it’s not something new but has been raging on for….centuries. It should be noted that there are equally sincere thoughts on both sides, each raising reasons why, or why not believers should or shouldn’t be celebrating Christmas; but what does the Bible say? Do our Bibles give us any clear direction as to what to do, how to respond. Searching for reliable information on this topic is difficult because the origins of many of our traditions are so obscure that sources often contradict one another. Bells, candles, holly, and yuletide decorations are all mentioned in the history of pagan worship, but the use of such in one’s home certainly does not indicate a return to paganism. While there are definitely pagan roots to some traditions, there are many more traditions associated with the true meaning of Christmas—the birth of the Savior of the world in Bethlehem. A star is placed on the top of a Christmas tree to remember the Star of Bethlehem. Gifts are exchanged to remind us of the gifts of the Magi to Jesus, the greatest gift of God to mankind. 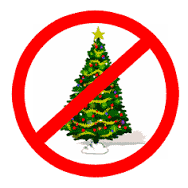 Another argument against Christmas, having a Christmas tree, is that according to Jeremiah 10:1-16, the Bible forbids bringing trees into our homes and decorating them, refers to cutting down trees, chiseling the wood to make an idol, and then decorating the idol with silver and gold for the purpose of bowing down before it to worship it. However, reading the context of the passage we see it is a difficult argument against Christmas trees. There are Christians who choose to ignore Christmas to the fact that the Bible doesn’t give us the date of Christ’s birth, which is certainly true. December 25 may not be even close to the time Jesus was born. In fact arguments on both sides are more alike than not. Some relate the 1. Climate in Israel 2.The practices of shepherds in winter and 3. the dates of Roman census-taking. None of these points are without a certain amount of merit, which brings us back to the fact that the Bible really doesn’t tell us when Jesus was born. Some see this as proof positive that God didn’t want us to celebrate the birth, while others see the Bible’s silence on the issue as tacit approval. There are some Christians that say since the world celebrates Christmas—although it is becoming more and more politically correct to not celebrate it as Christmas but refer to it as “the holidays”—Christians should avoid it. But that is the same argument made by false religions that deny Christ altogether, as well as cults such as the Jehovah’s Witnesses who deny His deity. Those Christians who do celebrate Christmas often use the occasion as an opportunity to proclaim Christ as “the reason for the season” among the nations and to those trapped in false religions. As we examine the Biblical facts we see that there really is no legitimate scriptural reason not to celebrate Christmas. At the same time, there is no biblical mandate to celebrate it, either. In the end, of course, whether or not to celebrate Christmas is a personal decision. Whatever Christians decide to do regarding Christmas, their views should not be used as a club with which to beat down or denigrate those with opposing views, nor should either view be used as a badge of honor inducing pride over celebrating or not celebrating. As in all things, we seek wisdom from Him who gives it liberally to all who ask (James 1:5) and accept one another in Christian love and grace, regardless of our views on Christmas. That said, Patty and I sat down this past week to gear up for the Christmas Season. We enjoy the inspiration behind several of our favorite Christmas Specials to ‘kick off’ the season. Beginning with ‘It’s a Wonderful Life, followed by ‘The Nativity’ and then ‘Charlie Brown Christmas Special.’ Back in ‘the day’ I recall looking forward to seeing these every December. 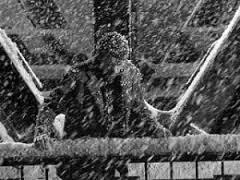 All throughout It’s a Wonderful Life, George Bailey makes a lasting impact on people. For better or worse, every person impacts the lives of those around them. 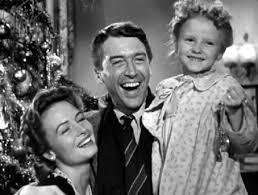 “Each man’s life touches so many other lives, and when he isn’t around he leaves an awful hole, doesn’t he?” says the angel Clarence to George Bailey. One of the obvious points of the film is that, without George around, so many things would have been different. We learn that Bedford Falls, for example, would have been Pottersville. Of course, Zuzu and the other children would never have been born. But the impact would have stretched far beyond this small town. “George saved his brother’s life that day,” says the ‘angel Joseph’, recalling when George’s younger brother Harry fell through the ice of a frozen pond. Years later, Harry would become a war hero, saving the lives of others. The point is, we have no idea how significantly our lives affect others. But that’s only part of the reason to value your life. Aside from serving others, our lives should be viewed as a gift. As the ‘angel Franklin’ notes, “At exactly 10:45 p.m. tonight, Earth time, that man will be seriously thinking of throwing away God’s greatest gift.” If you’re just ‘living out your life’ and forgetting the hope and future God has given you, sometimes He will use a movie like this to help turn your perspective around, at what really matters at Christmas. An excellent, excellent movie! Painstakingly paying attention to detail, you feel transported into the times when the birth of Christ took place. For the most part, it doesn’t stray too far from the Bible, and where it does, it’s not going to make or break the positive impact of the movie. The nativity is a reverent portrayal of the birth of Christ. Sometimes I feel that too often, the evangelical church has become a little too familiar with God and lack the reverence that the Catholic church has maintained. I found the movie simply Amazing! It brought me right into the story. I felt like I was there. They paid tremendous attention to historical detail in the actors, the dialogue, the settings, the music. I was there, up close and personal, with Mary and her parents and Joseph and all of those involved. I am very impressed. This spoke volumes to me as I was preparing this Christmas edition of Walking the Berean Road. Marty, if you don’t tell the true meaning of Christmas….who will? 1. God brings Good News in a time where hope can’t be found. 2. God brings this hope, to all people. of Jesus, who will deliver us from whatever is opposed against you, whenever you call Him for this Good News. Indeed, we are living in perilous times. We seem surrounded at every side; do this, where that, become this, a form of good news, until we stop and realize, we need something this Christmas more durable, reliable, trustworthy. 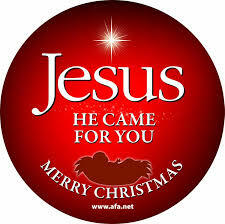 Yes, the true meaning of Christmas this year is wrapped up all in Jesus! You see, He really is….the reason for the season! 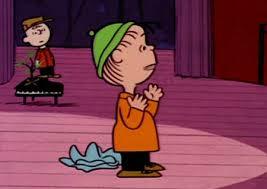 I couldn’t think of a better ‘true meaning of Christmas’ than that delivered by Linus, of Charlie Brown fame. Patty and I hope you enjoy these video clips from, ‘A Charlie Brown Christmas’ as you and your families all across the world celebrate Christmas time this year. It’s Christmas time once again, the perfect time to remind ourselves and others of the true meaning of Christmas. After setting up our nativity scene outside the front of our house, and putting aside the shopping, and parties, the boxes and bags, the gifts and bows; my wife (Patty) and I sat down the other night to watch the Annual Charlie Brown Christmas Special. Upon release Network executives, were not at all keen on several aspects of the show, forcing writers, Charles Schulz and Ray Melendez to wage some serious battles to preserve their vision. 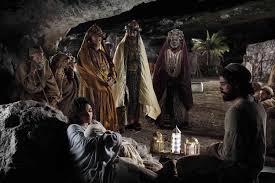 The executives did not want to have Linus reciting the story of the birth of Christ from the Gospel of Luke; they assumed that viewers would not want to sit through passages of the King James Version of the Bible. The answer is pretty obvious isn’t it? And yet having a strong conviction to stand up in giving out the Good News of Jesus Christ, I was challenged to ask you to join me. 3. God brings such Good News, that it will leave a smile on your face! 4. God brought Good News that we have help in the Name of Jesus, who will deliver us from whatever is opposed against you, whenever you call Him for this Good News. And so the story goes something like this: Charlie Brown and his friends are all out skating on a frozen pond, when Charlie Brown begins to confide in Linus, that even though Christmas is just about here, he finds himself depressed. despite the Presents, cards, Christmas tree decorations and outdoor lights. In Charlie Brown’s eyes it seems Christmas had gotten to be too much about money and things. Charlie Brown’s depression and aggravation only got worse by all the various ways people were celebrating Christmas, right in his own neighborhood. 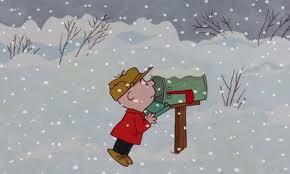 He trods through the snow to the mailbox outside his house to see if he could find some Christmas cheer. He runs into Violet and sarcastically does his best at trying to thank her for the card she ‘sent’ him, even though Violet took his sarcasm literally. 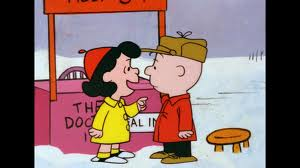 Eventually, Charlie Brown pays a visit to his friend, Lucy who just so happens to be operating a, ‘Psychiatric’ booth outside in the snow laden neighborhood. 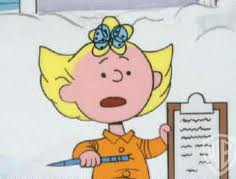 Lucy listens to Charlie Brown’s predicament and recommends that he needs to quit being a ‘bystander’ during the Christmas season and become more involved, maybe even directing a Christmas play she’s putting together. On the way to the auditorium, Charlie Brown drops by Snoopy’s doghouse, and what does he find, but Snoopy busily decorating the outside of his place. Snoopy hands Charlie Brown a flyer describing a Neighborhood Lights and Display Contest. 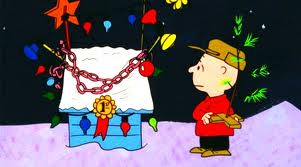 Charlie Brown gets even more upset because even his own dog has gone the commercial route of the meaning of Christmas! 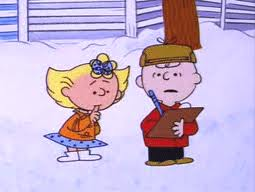 On the way to the Christmas Play rehearsal, Charlie Brown runs into his sister, Sally, who goes on to ask her brother to write a letter to Santa Claus for her, telling her brother as he writes her request that she wants money! “In Tens and Twenties”! You guessed it, Charlie Brown is even more depressed in his search for the meaning of Christmas. Finally, Charlie Brown arrives for the rehearsal of the Christmas Play that Lucy recommended he direct and giving him something to get involved in. He walks in and sees a room full of lively music and everyone dancing, especially to the song Linus is playing with Lucy leaning on the piano. 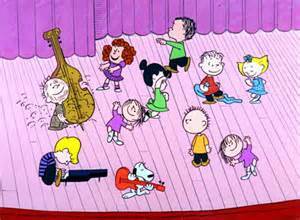 Unable to control the uncooperative kids who are more interested in the dancing and music, Charlie Brown thinks out in his mind that what they need for the ‘proper mood’ of Christmas is a Christmas Tree. 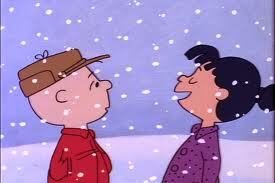 Well, Lucy, takes over and quiets down the crowd and sends Charlie Brown to go out and get a Christmas tree, but not just any tree, a ‘big, shiny…..aluminum tree’. 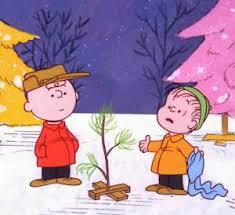 Charlie Brown leaves the auditorium and brings Linus with him on the ‘Quest for the perfect tree.’ Upon arrival at the Christmas tree lot, Charlie Brown is zeroed in on a tiny little tree which would be the only ‘real’ tree on the lot. 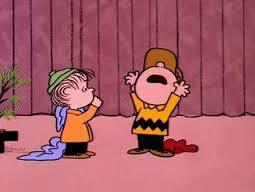 Linus, doesn’t seem to agree with Charlie Brown’s choice, but Charlie Brown is absolutely convinced that with a little decorating, the tree will be just right for the Christmas Play. 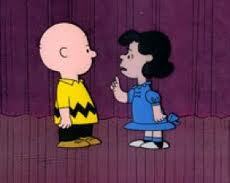 Finally, Charlie Brown and Linus get back to the auditorium where everyone was gathered to practice the play. 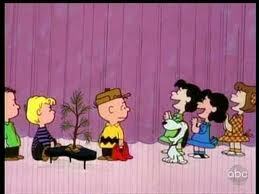 As Charlie Brown enters with the tree, everyone begins to laugh uncontrollably at what Charlie Brown had brought back. Up steps Linus, blankie and all, telling Charlie Brown, that he knew what Christmas was all about, he begins reciting by heart, from the Gospel of Luke Chapter 2 :8-14. Charlie Brown quietly picks up the little tree and walks out of the auditorium, intending to take the tree home to decorate and show the others it will work in the play. On the way, he stops at Snoopy’s decorated doghouse, which now sports a first prize blue ribbon for winning the display contest. 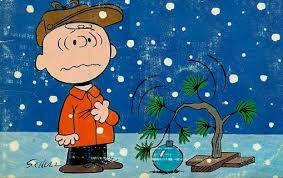 He puts an ornamental ball on the top of his tree; the branch, with the ball still on it, promptly flops over to one side instead of remaining upright, prompting Charlie Brown to declare “I’ve killed it” and runs off in disgust at his perpetual failure, of him finding the true meaning of what Christmas is all about. 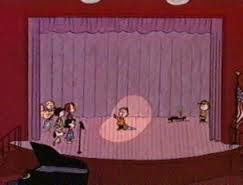 The rest of the gang follows Charlie Brown quietly followed from the auditorium. Linus goes up to the tree and gently props the drooping branch back to its upright position, wrapping his security blanket around the tree. After they add the remaining decorations from Snoopy’s doghouse to the tree, the kids then start humming ” Hark! The Herald Angels Sing’. 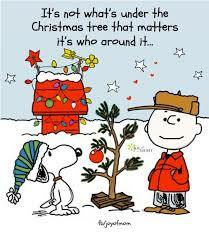 When Charlie Brown sees what they have done with the tree, he is surprised and the kids give him a Christmas greeting before singing the song, as Charlie Brown joins in. Special thanks to Charles Schulz and the whole Peanuts gang for having the courage to put the true meaning of Christmas in their animated film. It has become a true Christmas classic. A great little story, that even a child could understand. And yet, what can we grab from this Christmas Story and make it our own? Well, I saw quite a few, but briefly, understanding what Christmas is all about. can be a very lonely road. 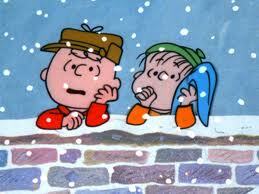 Charlie Brown, as he looked around at how others were seeing what Christmas was all about, saw many different expressions of it. For some, it was about doing something, (Christmas Play). For others, it was about getting, (Writing a Christmas list of what they wanted). 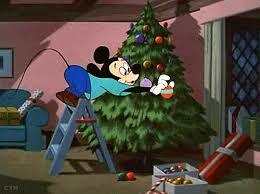 For some it was about the biggest, shiniest Christmas tree, For someone else it would be Christmas lights and contests. Finally, for some it was just simply enjoying it in song and dance. But for a few, it was a search for the real meaning of Christmas. At this time of the year, people run through a gamut of emotions. Some , happy, sad, depressed. For me this year, it’s about choices. One thing is certain, there is no lacking of places to go, friends to be with, and how to spend the time where you can keep something more than the frills of the season. For me, it’s all about Jesus. When Jesus came into the world, things were upside down. The world needed some good news, and yet sadly, no one at that time paid much attention let alone hear about the birth of God’s greatest gift to mankind, His Son. It would be through this little baby that He would grow up to be a man, and become a perfect sacrifice for the sins of the world. I find things aren’t much different today, where this world needs to hear some good news for a change. And yet when we go out and share the love of God through Jesus Christ, the response is the same as when Jesus was born. They don’t have the time, and are consumed with the trappings of this world. Jesus Christ to many homes is no longer a priority, replaced by all kinds of electronic gadgets and devices. 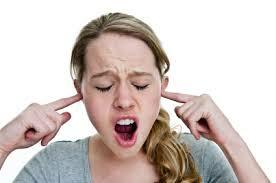 We don’t seem to want to just sit still and hear from God. The Shepherds, the Wisemen, they knew and understood about the Coming of the Christ, and they celebrated it by worshipping Him. 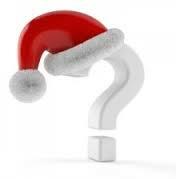 Today, my biggest question this Christmas is, now that I know about Jesus, am I celebrating His coming, has He become my principal object of worship and adoration? And, if Jesus were to come back today, as the Bible teaches He will, for His church, will I be ready? Or will I be like the people’s in those days, who were doing this and that, and were not prepared to receive Him? This year has been a unusal year for Patty and I to be sure. Facing eight months of it head on with the Chemotherapy treatments I had, the day-to-day challenges that go along with it. One thing we can say for sure, God was good to us this year. We were able to take the ‘Good News’ of Jesus Christ into areas I would never have imagined. The numerous people we met, week to week inside the Chemotherapy offices who were struggling with cancer, and the waves of its trials. For sure, many people from doctors, to nurses, surgeons, family members, all were touched by the gift of His testimony we were privileged to give out. From the struggles of finances, and a myriad of other things, God proved faithful. We are forever thankful to God for all the friends He sent our way, the surprise checks that were written. Great is His faithfulness! Maybe you’ve also had struggles throughout the year, and yet when we pause and look the year over, you too can see the hand of God in it all. Maybe this year is one where you too need to hear some ‘good news’. And maybe your thinking on what that ‘good news’ could be was caught up in the things of this world. But, maybe, just maybe, this Christmas would be a good time to start, bringing the good news to a dying world. The best news you can give is what Jesus Christ did for you. We are rich in Jesus, why not put the good news He brought as a gift to us, and give it out to others? Let’s make Jesus the priority this Christmas. In word, in deed, when Jesus is walking with us, we can’t help but have good news! On behalf of my family; my beautiful wife, Patty, and our two ‘kids’, our little doggies, Libby and Buster, we wish you and yours, a Merry, Merry Christmas indeed! Copyright © 2007 Martha Noebel. Used by permission.